We are looking for your help in identifying unknown people in our White House Photographs collection. If you have any information about this photograph, please post a comment, including any relevant sources, for the catalogers at the John F. Kennedy Presidential Library. Thank you! 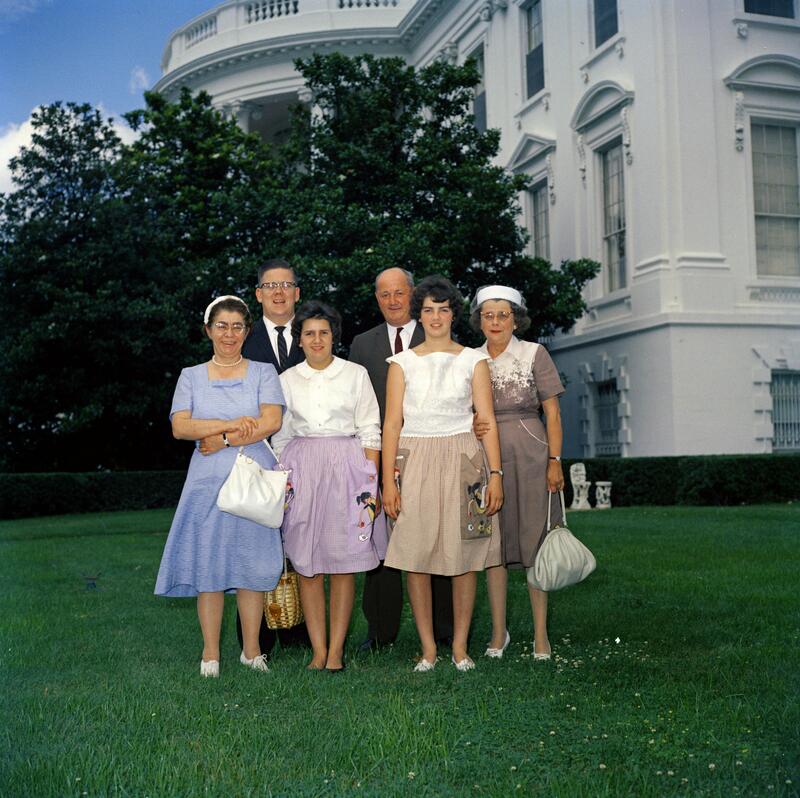 Scope and Content Note: This is a photograph of visitors at the White House, Presidential Assistant John McNally (back left); five unidentified persons. East Wing Lawn, White House, Washington, D.C.